Correction (2/6/13): Mideast textbooks: In the Feb. 5 Section A, an article about a study of bias in Israelis and Palestinian textbooks said that a Palestinian textbook included a story of a Palestinian who helped rescue a wounded Israeli soldier. 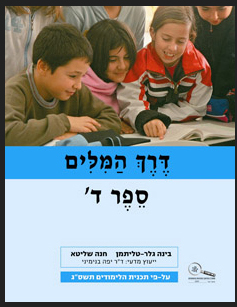 The example came from a fourth-grade Israeli textbook. Another example: “‘I saw it as my obligation as a Muslim Arab to offer help to an Israeli soldier injured in an accident’ said Abdullah Yusef Yunes… who offered help and drove an Israeli soldier in his vehicle” (State secular schools, Through the Words: Book D [ Ã£Ã¸Ãª Ã¤Ã®éÃ¬éí: ñÃ´Ã¸ Ã£’. Ã«Ã°Ã¸Ãº ], 2009, Grade 4, Part 4, p.203, LP1892). CAMERA commends the Los Angeles Times for its prompt correction. Additional Los Angeles Times prompted by CAMERA can be seen here. For first impressions about the apparently flawed methodology of the Israeli/Palestinian textbook study, see here.